This Multinautic<sup></sup> Unique Design 6 inch Flip-Up Dock Cleat Is moulded out of aluminum and covered with a paint baked at high temperature. It is designed to flip down when not in use and will protect your toes as well as those of your children with its round corners and its smooth surface. It is also very easy to install on any type of Dock. 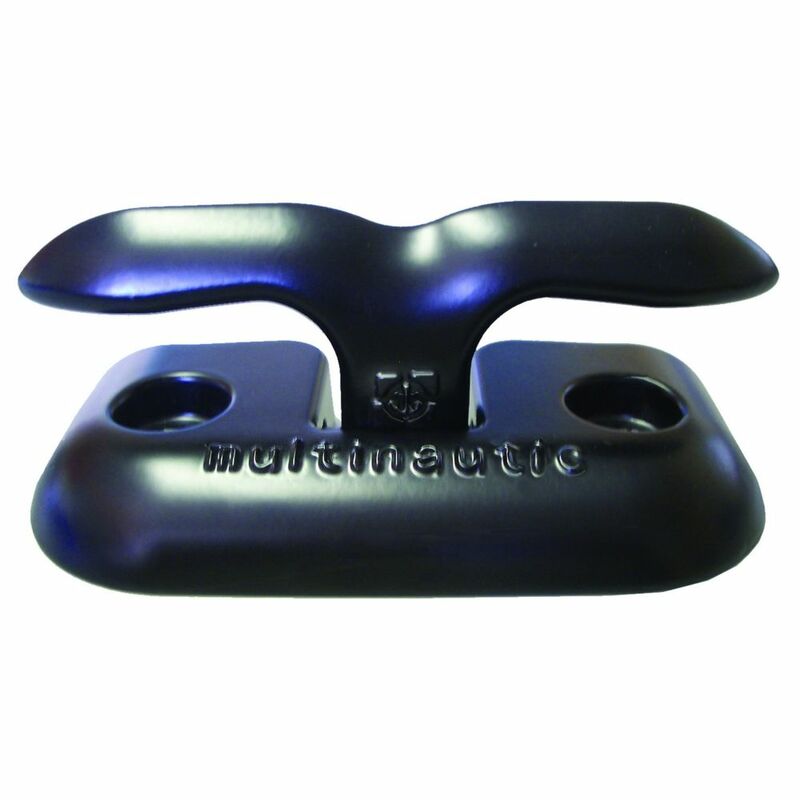 The Clever Cleat has been carefully designed to provide a very effective and cost effective boat securing solution. This new, U. S. patented product represents a paradigm shift in the way boats can be secured to docks AND the way on-board lines can be controlled and secured. No dock is complete without mooring cleats! These are traditional, cast iron, hot dipped galvanized dock cleats. This 8-inch cleat is the durable and practical solution for dockside mooring. EZE Docker is a robust one piece portable mooring ring which simplifies boat docking problems. Insta Cleat is strong and lightweight and fits easily in between deck boards. turn cleat top and bottom stainless steel T bar tightens into place. Flip-Up Aluminum Dock Cleat 6-inch This Multinautic<sup></sup> Unique Design 6 inch Flip-Up Dock Cleat Is moulded out of aluminum and covered with a paint baked at high temperature. It is designed to flip down when not in use and will protect your toes as well as those of your children with its round corners and its smooth surface. It is also very easy to install on any type of Dock. Flip-Up Aluminum Dock Cleat 6-inch is rated 4.5 out of 5 by 2. Rated 5 out of 5 by BobP from great features We have a number of these on our docks already. Makes it easy to tie up boats. Smooth edges prevent trips. Easy to install with lag bolts.